Whether you’re new to inventory management or an expert, some mistakes are more common than others. Read our list of the 5 worst ones so that you don’t make them. Uh oh! Your stock information wasn’t up-to-date, and you accidentally oversold a product. But one blotched sale isn’t a big deal, right? Well, it becomes a big deal when that one wronged customer blasts you in the reviews, rating, and on social media. Despite being behind the scenes, inventory management has a powerful impact on your brand’s image and success (to say nothing of how managing your physical stock can cut overhead costs). Overselling items can lead to more than just a bad reputation: some channels even suspend you for it! For multichannel selling, the influence of inventory management is doubled. Breaking into a new channel means that a single bad review early on could stunt all future growth on that site. Moreover, overseeing and updating your stock levels on multiple channels can be tedious and increases the chances of minor errors falling through the cracks. In this article, we run through the five most damaging inventory management mistakes for multichannel selling. Read all about them — and how to avoid them — to start you off on a more advanced track. One of the most common inventory management mistakes is negligence. This often occurs because you don’t have the time to keep track of your stock levels and update them continuously. Although this may seem easy to avoid, when you offer a wide range of items on multiple channels, it becomes increasingly difficult to keep track of everything in a timely fashion. The most convenient method for handling this is to use ecommerce inventory management software that automatically updates stock levels on each and every one of your channels. That means you don’t have to worry about overselling ever again. Plus, considering how much you save in staff inventory audits and missed sales, it could even be the cheaper option. Inventory management is a balancing act: you want enough stock to meet demand, but not too much that you pay extra for storage costs. Striking that perfect medium is difficult, but no one said business was easy. 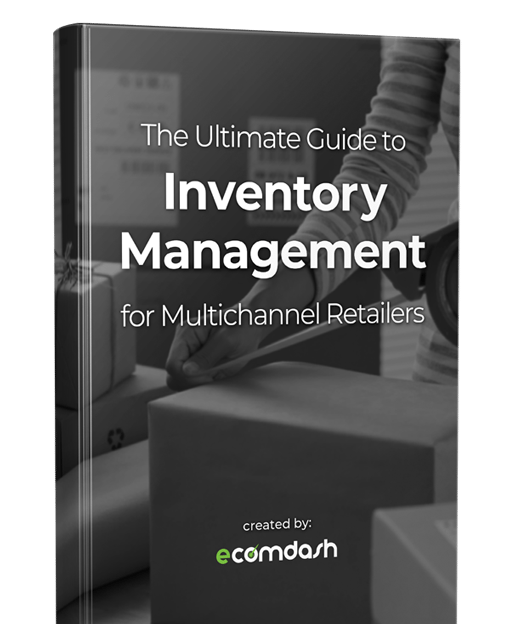 Inventory management software can always keep your listed stock levels up-to-date on all of your channels, but it can’t save you from simply running out of stock. You still need to check your levels in real time and account for the time it takes to restock, both of which rely on several variables that can make it hard to pinpoint. It’s always recommended to leave a bit of a buffer zone as a safety net. Having “emergency stock” ensures that you don’t miss a sale or hurt your reputation with an “out of stock” message. Consider fudging the numbers of how much stock you actually list — stating that you only have a few items in stock can be a useful sales technique, regardless of how much you actually have in stock. Your sales are more predictable than you might think. Reviewing your sales data allows you to optimize your strategies going forward, and it also allows you to anticipate inventory needs. Your sales records tell you how frequently you should reorder inventory on your best-sellers. Examine sales data for the entire year — or better, multiple years — to account for seasonal trends and holiday shopping. Take advantage of restock forecast reports. These reports average your sales and supplier lead time and then calculates how much stock you need to purchase. The more warehouses and fulfillment centers you use, the harder it is to keep each one organized. Inefficient warehouses are a common pitfall that can grind your business to a halt. There are different strategies for streamlining warehouse efficiency, so choose the methods that work best for you. Some companies can cut overhead by removing non-essential staff, while others may need to hire more staff to keep up with the workflow. Also, consider your accounting methods to optimize your budget — organizing your books can sometimes reveal the best ways to save money and improve revenue. Depending on what you see when you look at a half-filled glass of water, you can view this list either as ways to fail at ecommerce, or opportunities to succeed at it. We recommend the latter. Because these are the common mistakes many online retailers make, you can set yourself ahead of the competition simply by not making them! Especially if you’re just starting out, accounting for these mistakes early on allows you to sidestep them before they have a chance to occur. For example, if you order extra stock as a buffer during your initial acquisition or implement inventory management software right from the start, you’ve already prevented some of these issues from ever occurring in the first place. While you’re at it, don’t fall into a trap with these 7 common myths about inventory management. For every new channel you sell on, managing your inventory becomes that much harder. Read about the 3 most common obstacles, and how ecomdash solves them all. If you’ve been following along our Inventory Management series step-by-step, then congratulations! You’ve now graduated from the fundamentals, and you’re ready to tackle to practical, day-to-day tasks of managing ecommerce inventory. And what better place to start than the everyday obstacles of managing multiple sales channels. Handling more than one ecommerce platform at the same time can seem to some a lot like spinning plates, with never a moment to catch your breath. Just when you’ve put out a fire on one site, your attention is needed on another. The good news is that it doesn’t have to be so bad. Taking advantage of inventory management software can effectively solve each of these problems, making your life easier in the process. Below, we cover the 3 most common issues in managing multiple channels, and how ecomdash renders them moot. The most common (and most obvious) problem in managing multiple sales channels is updating your stock levels on each. Without a proper solution in place, you’re stuck monitoring every single sale and then manually updating stock levels on all of your channels, not to mention doing the same whenever you restock your inventory. If you have a few channels, this task is tedious and time-consuming; if you have a lot of channels, it becomes downright impossible. Luckily, taking advantage of ecomdash solves this problem once and for all. By integrating with all your channels, our software updates all your stock levels automatically, everywhere, and in near real time. It saves you from updating inventory levels manually and also removes any potential for human error. Plus, you’ll never have to worry about bad reviews from overselling ever again. Sure, some channels allow you to print shipping labels directly from them, which is convenient because they keep track of data like your ship-from location, the product’s weight, and your customer’s address. Sometimes they even automatically populate your shipping labels as well, which is helpful. This is a breeze if you only have one or two channels, but as soon as you branch out, it becomes a chore to log in and out of each channel periodically. Similarly, if you ever need to track a package, you have to remember which channel it was sold on to make sure you go to the right place. Otherwise, you’re checking each of your channels until you find the right one. A better, more convenient option is to use ecommerce shipping software like ours. With ecomdash, you can print shipping labels and track shipments on all your channels, all from one place. That means whenever you have a shipping issue, you know just where to go. Not only is this an annoyingly repetitive task, but it also opens up room for making mistakes. How easy would it be to list another product’s price after a few hours of inputting prices off a list or spreadsheet? And for stores that have a wide range of products, this could take days or even weeks, multiplied by the number of channels you’re listing on. And what if — heaven forbid — you decide to change the price of a product or upload a new product image? Then you have to go through the whole rigamarole once again. Thankfully, ecomdash’s multichannel listing tool does all the heavy lifting for you. Just like stock levels and shipping concerns, our software integrates with all your channels so you can handle everything in one place — and you only have to do it once. Another viable solution to all these problems is to hire one or more channel managers. They’ll handle all the busy work for you: updating inventory levels, printing shipping labels, inputting tracking info, and listing products. But that kind of assistance doesn’t come cheap! All things considered, subscribing to ecomdash is the most affordable option — and because it’s automated, you never have to deal with human error or clashing personalities. Even compared to other inventory software, ecomdash proves it’s as economical as it is effective. Want inventory management software that does it all? Read this checklist to see if your ecommerce software goes above and beyond, or just falls flat. So far, our inventory management series spanned everything from the basics like SKUs and GTINs to more advanced knowledge like ABC product analysis and why prices end in 99¢. Over the last fifteen entries, we’ve given you a crash course in ecommerce inventory management, culminating in this, our final installment. Here, we’re going to tie everything together by discussing inventory management software with a checklist of what yours should offer. Inventory management software should be able to overcome all the obstacles we’ve outlined in this series, so we made this handy list as a quick-reference resource to see if yours has what it takes. If your software doesn’t handle each of these, look for one that does. For example, if you still have to handle shipping manually, you’re doing too much work (and wasting valuable time). Timing and Delays Ideally, your software should work in near real time. Delays of any kind are a fault, so be wary of software that hesitates. Sales Reports Analyzing sales data helps you make more informed and strategic business decisions moving forward. This often helps increase profits and customer satisfaction. It’s not too much to ask that your software record relevant data and present it to you in an easy-to-digest ecommerce report. Stock Levels Synchronization If your stock levels aren’t updated (on every channel) in near real time, you run the risk of overselling, which could lead to bad reviews, lost customers, and in some cases account suspension. Make sure your software updates stock levels for all your products on all channels. Listing Synchronization It can get tedious to re-upload the same product listings over and over on every new channel, not to mention updating them multiple times if you choose to change something. Your software should synchronize all your product listings so that you only need to upload or update once on the master copy. Multiple Warehouses You should be able to manage all of your warehouses from a single interface, no matter their locations. In addition to fulfillment, this should also include reordering aisle and bin locations, and provide a general snapshot of each warehouse’s status if you just want to check up. Alerts Another advantage of inventory management software is that it sends you necessary alerts so that you don’t have to continually check yourself or worry about inventory after hours. Make sure your software sends the essential alerts, especially low inventory notices. Bundles, Kits, and Multipacks In modern ecommerce, selling individual products isn’t always enough. Your software should be able to process bundles, kits, and multipacks and deliver them without error. Multicarrier Solutions. No matter what ecommerce shipping method or carrier you use, your software should accommodate them all. Pick software that has a full breadth of options, because you never know which you might use in the future. Dropshipping. More and more each day, dropshipping proves itself to be a viable business model for ecommerce brands. Your software should be able to handle dropshipping items autonomously, including sending sales orders to one or more suppliers. Choose the right software and it takes care of everything entirely by itself. FBA Fulfillment. With Amazon’s dominance in ecommerce, plenty of ecommerce brands rely on FBA for their fulfillment. Good software will work cohesively with FBA to route sales orders and coordinate shipping on their own. Label Printing. Rather than relying on additional software, proper management software allows you to print any shipping labels you need, including returns. Pick Lists. To streamline warehouse management, use software that can print pick lists with each product’s location within the warehouse. This speeds up shipping overall and safeguards against any would-be shipping mistakes. Marketplaces. As a bare minimum, you want to make sure your software integrates with all your sales channels. On top of that, what if you decide to expand later? What if a new marketplace appears in the next few years that’s perfect for you? The more channels your software works on, the better, so choose one with a robust offering. And don’t just look at what the software integrates with now, look at its capacity to integrate with new technology in the future. Check its news feed to see how often it integrates with new software. Free support. Support is like insurance: you never want to use it, but you’re so glad you have it when you need it. Despite what some software companies will tell you, support is not a privilege, so you shouldn’t have to pay extra for it. HTML Templates. Using HTML templates can be a big time-saver, not to mention spare yourself a headache if you’re not tech savvy. Customized Packing Slips. Packing slips are always a good idea, and customizing them allows you to personalize your brand image and even remind customers to review at a time when they’re most enthusiastic about your product. It’s always a plus if your software has the option to individualize your packing slips. Training. Some companies don’t mind paying a little extra to fast-track onboarding or learn the nuances of a software. If this sounds like you, make sure your software provides training sessions not just to show you ropes, but to explain step-by-step how an expert uses the software. After only a few hours, you’ll be able to navigate the system as if you’ve been using it for years. As you might have guessed, ecomdash is a full-cycle inventory management software that can help you at every stage of your ecommerce business. Our software proudly satisfies all the requirements on the above checklist, so if you want to save time searching for a software that does everything on there, look no further.